Posted on 7, November 2016 by EuropaWire PR Editors | This entry was posted in Food & Beverage, Netherlands, Real Estate and tagged BPD, former Coberco site, Gerard Menting, Herbert Bosch, Royal FrieslandCampina N.V.. Bookmark the permalink. ARNHEM, Netherlands, 07-Nov-2016 — /EuropaWire/ — The town planners of BPD will take up the challenge to develop a new urban area on the site of the former dairy plant Coberco, in which living and working will be combined while retaining the historical significance. Besides, the new town quarter must offer space for diversity and recreation. The Mayor and Aldermen of Arnhem have drawn up an ambition document with basic principles, frameworks, ambitions and preconditions. The plan of area developer BPD came out best during the selection. 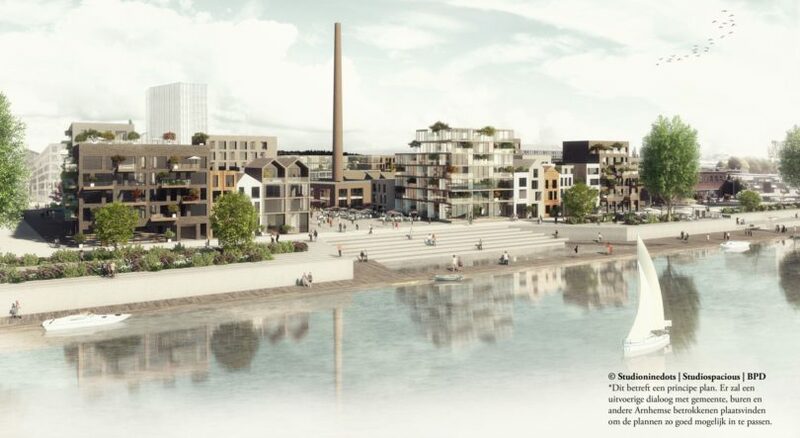 The characteristic historic buildings of the Coberco plant will become the multifunctional heart of the quarter, which will be given the name ‘De Melkfabriek’ [the milk plant].